The traditional model of rural electrification in Sub-Saharan Africa (SSA) mainly involves donor and government-supported programs. Recently, however, a rapid and significant increase has occurred in the sale of pico-scale solar products throughout SSA. This development is driven by an increasing number of private firms supplying pico-scale solar systems to customers, on a commercial basis, in order to serve their electricity and lighting needs. The system suppliers take advantage of the substantial improvement in the price and efficiency of core technology components, the emergence of smart metering technologies, and the widespread use of mobile phones and mobile payment schemes. Suppliers are, thus, able to target poor customers located mainly in off-grid, rural areas through new pay-as-you-go business models that avoid high upfront costs. With the parallel rise in the costs of conventional sources of electricity and lighting, especially diesel and kerosene, the demand for pico-scale solar appliances has boomed. These factors are driving a remarkable and unprecedented diffusion of pico-scale solar PV products on market terms, which stands in contrast to the donor and government-driven model of rural electrification. The application of pico-scale solar photovoltaic (PV) appliances is currently becoming increasingly global in nature, and this development is particularly noticeable in Sub-Saharan Africa (SSA). This report aims to shed light on the current and future market of pico-scale solar PV in SSA, and provide tentative suggestions to explain the observed development. The intention is to describe a development that is currently unfolding at an incredible speed and yet continues to occur somewhat below the radar (Kaplinsky, 2011). However, the market for pico-scale solar PV is only expected to increase and spread further across SSA. This expected growth will have significant implications for the way in which the issue of rural electrification is being approached, and how universal access to modern energy services will be achieved in Africa. The report is based on a review of donor, consultancy and industry reports, media coverage, national and regional market surveys, as well as analysis of journal articles, working and conference papers, undertaken as part of a larger research project on the development and diffusion of solar PV in Africa conducted by the UNEP DTU Partnership (Adomdza et al., 2016). Before proceeding, a demarcation is necessary. This report will focus solely on pico-scale systems to be used by individuals or at the household level (Hansen et al., 2015). 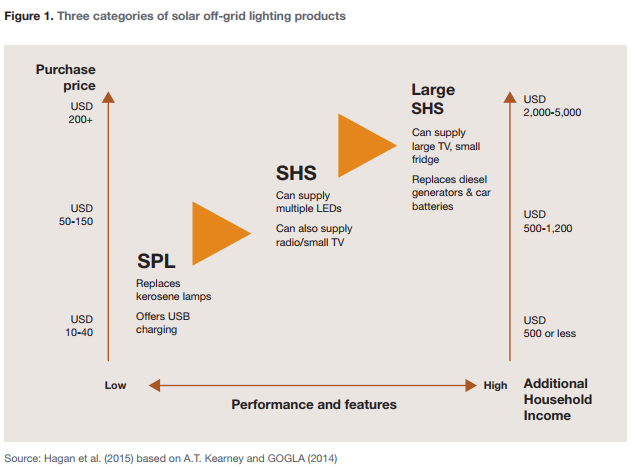 Figure 1, above, shows how a small-scale solar PV market can be divided into three different market segments comprising: (i) Solar Portable Lights (SPL) or solar lanterns — lighting and mobile phone charging applications, (ii) Solar Home Systems (SHS) — used by households to power multi-light sources and smaller appliances, and (iii) larger SHS, which are able to service higher electricity demands, including fans, televisions, freezers and other household appliances. While this division makes sense, some confusion emerges due to the World Bank Lighting Africa initiative defining pico-solar systems as systems with an effect below 10 Wp. Early pico-systems were mainly portable lights, but current pico-systems also comprise small SHS with multiple LEDs. In the following, references to pico-systems mean portable lights and SHS with an effect below 10 Wp (Orlandi et al., 2016). The report is structured as follows. 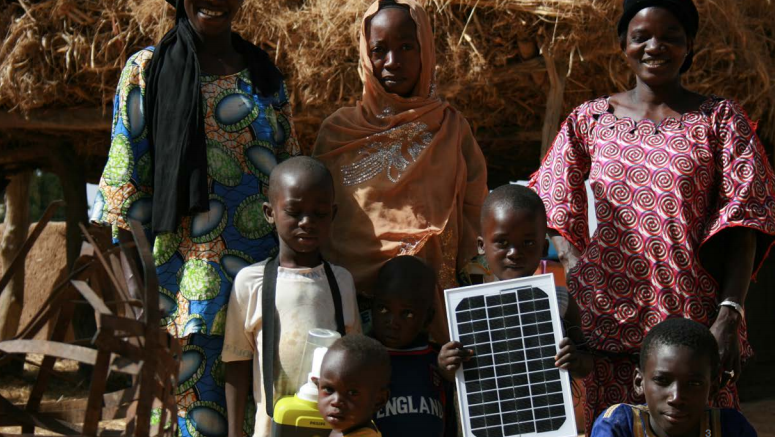 Section two provides a short overview of the state of the market for pico-scale solar in SSA. Section three follows with a description of the main factors appearing to have enabled the development of the market. Finally, the conclusions are presented and discussed in Section four.